Bye-bye Pringles and mass-market beer. Alyssa Schwartz is an award-winning freelance travel writer. 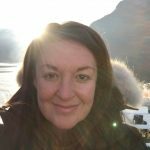 She contributes regularly to The Globe and Mail, Westjet Magazine and other publications. 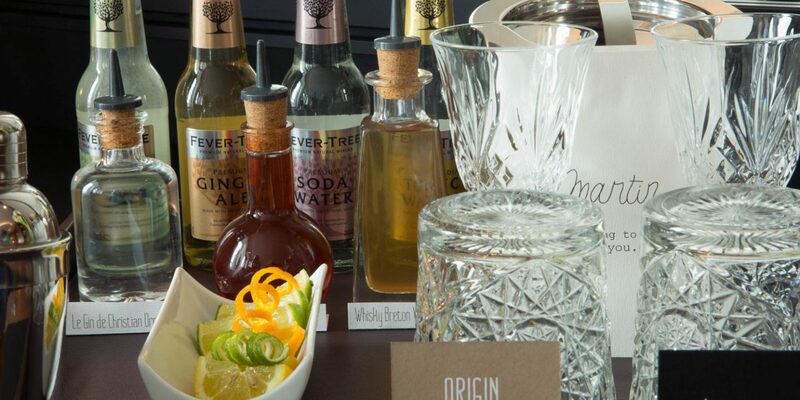 It wasn’t long ago that travel-trend watchers were calling the death of the hotel minibar. And for good reason: who wants to stay in eating stale, overpriced Pringles and mass-market beer—average markup, 100 and 370 percent respectively—when an entire city of epicurean delights lies steps from your hotel door? Sampling the local flavors is, after all, one of the key reasons we’re willing to put up with the inconveniences and indignities of travel these days. But there are hotels breathing new life into their tired old minibars, with local and exclusive snacks and drinks that are so good you might be tempted to pull on your hotel bathrobe, slide between those higher-thread-count-than-home sheets and stay in for the night. 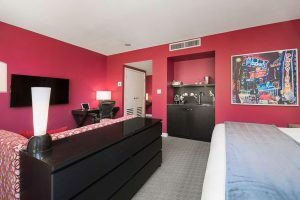 It comes as no real surprise that minibars aren’t the priority in Vegas (some hotels, such as the Linq, have done away with the concept altogether). But Aria Resort & Casino doubles down on its in-room snacks with “only in Vegas” Whoa! Toffee, organic small-batch salsa, gluten-free tortilla chips and no-luck-required poker chips made from Belgian chocolate. You don’t fly all the way to a romantic spot like the Maldives and book an overwater bungalow if you’re planning on spending a ton of time outside your room. Good thing Per Aquum Niyama (which is spread out over two islands—one for couples and one that’s family friendly) puts the fun in its in-room treats with popcorn-makers and kernels that get restocked daily as well as ice cream. Artisanal eats are practically a Brooklyn cliché, so you’d expect a hotel on this side of the East River to stock its minibar full of small-batch, handcrafted items. The fridges inside the guest rooms at the Wythe Hotel don’t disappoint: pretzels are rolled by hand in Lancaster, Pennsylvania; thick-cut potato chips come straight from Long Island’s North Fork; and the beer is brewed at nearby Sixpoint. Other next-level in-room treats include Plymouth cheddar, Beehive Cheese and chocolate chip cookies and crackers from the acclaimed Rustic Bakery in Marin County, California. This boutique Vancouver hotel makes good use of British Columbia’s award-winning wine country and great booze culture, getting guests into the local spirit with rosé from Grey Monk winery, handcrafted vodka and gin from Legend Distilling, both in the Okanagan Valley, and mini growlers from Granville Island Brewing. (Insider’s tip: the brewery is a short water taxi ride from the hotel, so if you like what you sip, bring your growler in for a refill.) Even canine guests get in on the locavore act at this pet-friendly property with puppy treats from Vancouver’s Three Dog Bakery. From mandarin juice in lieu of ho-hum orange and apple brightened with a kick of yuzu, the minibars at Renaissance Paris République, a boutiquey hotel near Canal Saint-Martin, add a dash of flair to standard offerings. Another twist on the norm: in addition to almonds, the hotel includes sun-dried tomato and basil–flavored roasted grasshoppers—the current “it” protein—among its snacks. Just sayin’. Andaz hotels are beloved by fans for their complimentary non-alcoholic minibar offerings, but we’d be willing to pay for a selection as special as the one at the group’s new Mayakoba resort. Instead of generic chocolate bars, the sweets stocked in rooms come from Kaokao, a single-origin chocolate producer in nearby Cozumel, and the mixed seasoned nuts are procured from a local family-run farm. Even the water is uniquely local: bottled by a company called Sky Ha’ Rainwater that’s based in Playa del Carmen, the water is collected before it hits the ground and then purified.